This week, I had the opportunity to share some things my district is doing to move its way into the realm of virtual and blended learning. We have made some strides, but we have a long way to go before the dream of truly personalized learning is a reality. As part of my presentation, I shared the video some of you may be familiar with, “Leadership Lessons from Dancing Guy“. This video tied in well to the keynote speaker the day before, Steve Dembo, who had let us all know that the way to build new realities in school is to start off looking like a nut and hope that others will decide to join you so that you’ll look like less of a nut. I have a respect for the video and the message it delivers, but it misses one vital point. In the video, nearly the entire crowd eventually joins in, either because it looks like fun or because everyone else is doing it and they don’t want to be ridiculed for not joining in. What I see in the video that is vitally important, however, is that the last folks who joined in the dance likely had no idea what the point of the dance was to begin with. The movement caught on, but those who followed it didn’t necessarily know why it started in the first place. In education, it is so important that we not only act as the lone dancing guy, or the first follower, but that we make sure that our message is so clear that it gets passed on through those that choose to follow. If the dance itself becomes the focus, our vision is lost. True leadership is often about laying the path and providing a venue for the “dancers” to take risks and for the “crowds” to follow. Laying that path takes strategic planning, future forecasting, and flexibility along with an acknowledgement that we are simply putting opportunities in place for others to grow. Isn’t that, ultimately, what “school” is about? I have been attending the SxSWedu convention in Austin this week. It has been a good experience – I have learned new things, been in rooms with people who don’t just talk about changing things, they are actively involved in that change. My highlight, however, took place, for the most part, this afternoon and evening when I participated in a social event designed like a game called Learning is Earning 2026. The game, designed by Jane McGonigal and in collaboration with the Institute for the Future and the ACT Foundation, is centered around a world where education has been transformed into a social credentialing system. Citizens earn “edublocks” when they learn something new and are encouraged to do so through a points system, as well as potential job opportunities and student loan payoffs. Once a person has learned something, they are encouraged to teach others. The game I participated in this evening was designed to engage its participants in thoughtful dialogue about the pros, cons, potential impacts, and other important considerations surrounding this idea. I have to say that when I first watched the promo video for the “Ledger” system that would house edublocks, I was excited at the possibilities – and I still am. However, the act of participating in the conversation tonight really got me thinking about all of the potential problems that would have to be solved before a system like this would work. I won’t go into details about all that I learned tonight – I fully intend to explore these possibilities further. What I would like to say is that the entire platform, where my participation was encouraged by a points system and possibilities of “leveling up” and even potentially being invited to the Institute offices in California, was extremely engaging. The diverse opinions and perspectives of the group, coupled with the incentives, kept the conversation lively and made me more likely to play devil’s advocate to dive as deeply into the content as possible. Is it my old gamer self shining through (I used to spend hours and lots of real dollars on my citizenship on the Great Lakes shard of Trammel in the Ultima Online MMORPG, or is it a generally competitive human nature that fueled my participation? I believe some of the people I had discussions with this evening would say – Does it matter? My big question from tonight is – Can the incentive to learn be material (money, points, prestige) or should it be a desire to learn for the sake of learning? 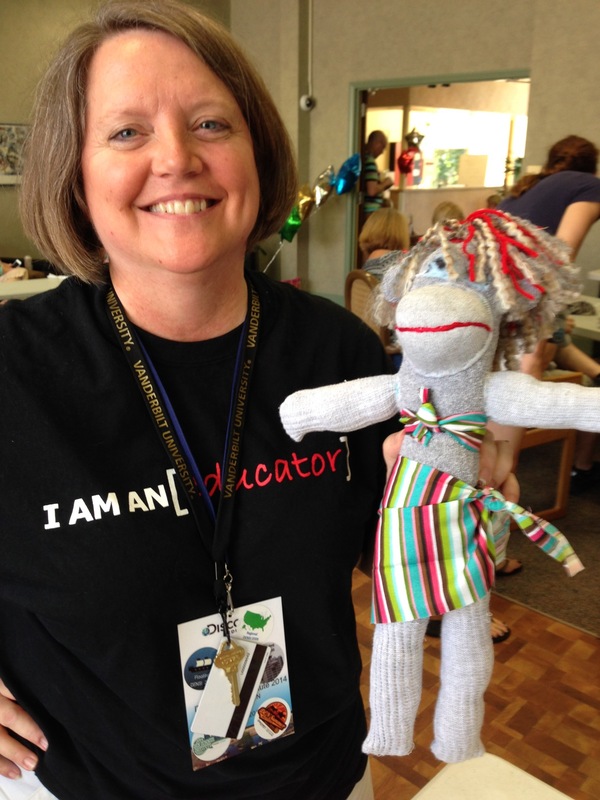 When I came home from the Google Teacher Academy in Austin last week, I was exhausted, but in a good way. I wanted to write a reflection, but I also wanted to let the experience simmer a bit so that I would write one that was not influenced by the “high” that was GTA. Today, I read posts from fellow GTAATX folks, including a very thoughtful and honest one from Karl Lindgren-Streicher and a data-filled one that made my science heart leap by Matt Vaudrey. Although the latter made me a bit sad since the data doesn’t lie and the data says I was one of the two oldest people in the room, both of the posts gave me the opportunity to reflect almost a week after the first day of the event. What the reflection revealed to me is the topic of this post. I agree with Karl that the Academy was an awesome experience that could have been even more awesome. I was energized and encouraged by a fantastic group of educators who, like me, believe that together, educators can truly change the world. I also felt sad that we didn’t get more time to plan and develop the strategies that will begin the transformation. Although the sessions were helpful in their own right, I found my mind wandering back to my project and the work I was anxious to get started. My inner science and sociology geek absolutely loved the session from Chris Aviles (@techedupteacher) where he shared several resources that provide all the data needed to get conversations started in nearly any content area. Data that is relevant to students because it has been gathered through Google and social media outlets. I loved the information Amy Mayer (@friEdtechnology) provided and her down-to-earth style of discussion. It was also really cool that for the first time ever, a Google Teacher Academy included a student of hers! The problem-solving and design parts of the Academy were the most beneficial. Not only did I have the opportunity to sort through and begin working on my own project, I got valuable feedback from the minds in the room. It was also a great way to learn parts of the Google design process, which I will find useful in my experience as a presenter and coach. I won’t go into details about the tools I learned about – you can check out the GTAATX hashtag to see all the things that were shared over the two days. The Google training team did a great job – tweaking the sessions to meet our needs and they were super receptive to feedback with a strong desire to improve future academies. I am so thankful I was a part of the experience and I hope that I will be able to continue the momentum! It was with mixed feelings that I traveled to Austin in the wee hours of the morning so that I could attend the Google Teacher Academy. Mind you, this is an opportunity only given to 52 educators out of hundreds of applications. 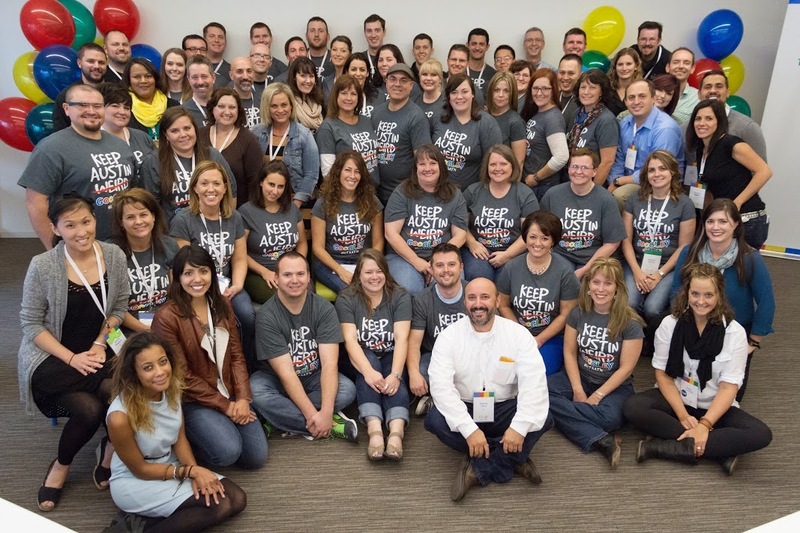 It is an opportunity to sit in the collaborative, ideation tank that is Google for two days, immersed in networking and learning with some of Google’s brightest, and over 52 of the most creative leaders in education technology. Still, I was tired, having spent the evening at a ladies event at my church and finally pulling into the hotel parking lot a little before 2 a.m. (after stopping three times because I was falling asleep at the wheel). Would I get enough out of these two days to make the trek worthwhile? Would I feel okay about missing two days of work and putting out fires in order to have this experience? After Day 1, I have to say there is nowhere else I could have been today. Sitting in a small room with so many people who share the same vision and have the same out-of-the-box ideals and hopes was energizing. As I worked through the Google design process today, I remembered why it is that I am so passionate about the things I pursue in education. I could see that passion ignited in the others, who, as we had conversations at our tables, began to realize they were truly preaching to the choir – no longer speaking so passionately to deaf ears, their cries of reform and relevance were falling on ears just as enthusiastic as they were themselves. This has been such an inspiring semester for me. The four-session series called the 4C Cadre (Creativity, Collaboration, Communication, Critical Thinking) at my district has reignited the creativity that had gone dormant in me. Miami Device in November put me with some of the greatest minds in EdTech so that I could realize the I, too, had something important to contribute. Today, at the Google offices in Austin, I learned about the concept of moon shots and realized that, although my philosophy has always been about allowing baby steps from the teachers who I support, I needed to have a much bigger vision of where we are heading in order to make those baby steps mean something. Today, I learned that there are a lot of people just like me out there – trying to change the world one teacher/student at t time. Today, I learned, as Joe Marquez said, that “this is not MY classroom, it is OUR classroom” and we all share the same responsibility to teach and should be given the same opportunity to reach. I am working on a master’s degree in Sociology and have recently been delving into the world of social change and development. As one of my course papers, I was required to conduct a study (a very quick one) related to a topic involving social change. I’m an educator, and I have a strong interest in the power of community, so I decided to do a study to begin to determine whether educator communities could conceivably be a catalyst for education reform, and thus, social change. Big topic – no way I could possibly handle it in a study I’m supposed to complete over the course of two weeks. I decided to do a quick study that would, potentially, lay the groundwork for future, in-depth studies on the topic. I chose to create a survey which would be used to gather qualitative data from teachers on their perceptions about the influence formal educator communities have had on their teaching styles and skills. Again, this by no means is a scientific study – it is just a gathering of data for the purposes of narrowing down a focus for future study. There is no quantifiable data to support the claims made by the educators who answered the study. There isn’t meant to be – it is meant to be a view of the perceived impact educator communities might have on teachers. My study was conducted over just a few days, using a Google form tweeted and posted to FB, then subsequently retweeted and shared by others. During those few days, 124 educators responded to the survey. The average years of experience of the respondents was 17. 78% belong to an educator network. This was skewed because I asked for teachers who are in a network to do the survey when I tweeted and shared the link. 61% of the educators surveyed who said they were in a network belong to the Discovery Educator Network (DEN). Again, this was skewed because that is the network I am most active in, so a majority of educators who took my survey and who shared the link with others were also active in the DEN. I wasn’t surprised that the response was overwhelmingly positive when asked about whether a community had positively impacted their teaching. When asked the reflective question, “Thinking back to your teaching practices before joining the community, then how they are now, would you say that the community has had a positive influence on changing your teaching practices?” 97% said “yes”. Here are some of the other results. Note that this survey was about formal communities organized by businesses and organizations, not about PLCs at school or other district or campus communities. In order to obtain scientifically relevant data, one would need to identify quantifiable measurements and a way to include all kinds of communities. Responses to questions about community influence. Click on the image to see full-size. Thank you to everyone who answered the survey. The fact that I received so many responses in such a short time is evidence of the strength of the network to which I belong! Yes, everywhere I go at DENSI, folks talk about the infamous Tim Childers and his coffee habit. Little do they know that I am the queen of coffee. My husband and I spend nearly as much on coffee each month as we spend on our car payments. When I’m traveling, i’m always looking for that perfect coffee shop, preferably not Starbucks. At one time, though, I was mayor (on Foursquare) of three different Starbucks in the DFW area as well as a little coffee shop in Pagosa Springs, Colorado. I’ve been trying to kick the habit, but still enjoy my morning coffee. Because of this, I have been in search of coffee shops within walking distance of Vanderbilt. I thought I’d share what I have found here so that other coffee lovers like myself and Tim can check them out. 1. Of course, everyone wants Starbucks. The scoop on Vanderbilt Starbucks is that there is one in the Barnes and Noble which is less than a block away, but if you keep walking, you will find a real Starbucks right next door to the Barnes and Noble. This brings to mind the original Shrek movie when everyone scrambled out of the Starbucks when Shrek walked in and they ran across the street to another Starbucks. I won’t critique their coffee because everyone knows Starbucks. 2. My second day in Nashville I had to try Atmalogy.Atmalogy is located next to Chili’s, which is across the street from the dorms. According to their website, the term means “the finding of one’s true self.” Atmalogy is a funky space within a large converted house. They serve coffee along with healthy sandwiches, wraps, and other small snacks. The service is a little slow, as it often is with local coffee shops, but the atmosphere within the shop is worth slowing down a bit. Each room of the house has been decorated into really cool spaces to gather and talk with friends. One space doesn’t allow shoes, another has one of those cool hanging egg chairs in it. Atmalogy also offers classes in guitar and philosophical talking groups. The coffee itself was okay – I don’t believe they roast their own, but it was good. Note to my fellow soy lovers – they don’t have soy, but they do have almond and coconut milk. I love almond almost as much as soy, so this was okay with me! 3. At lunch Sunday, Pam Inabinett, first-timer Audra Barton, and I decided to take a little walk to Cafe Coco. This is a longer walk, but still very doable. Cafe Coco is open 24 hours, which is convenient for DENSI attendees. They have a coffee shop, sandwiches and pastries up front in the converted house. Around back is a small bar which also offers the same menu as up front. This is important to know when there are lines, which according to Foursquare there always are. When we went, there were no lines and we sat outside in the patio area (which has electrical outlets!) and enjoyed a really nice lunch. I went back in to sample the coffee and my iced soy latte was really good – their coffee has a nice flavor to it. Let me know if you find a great spot! Today was a great day. It included the culminating event for the LC pre-con and the arrival of all the folks for DENSI. Special thanks to Matt Graves, who took the picture. Matt also was the recipient of the first DEN finger for DENSI 2014 for being such a great example of the DEN by making many trips to the airport to pick up folks, including me! Thank you Matt! As attendees arrived in the afternoon, it was so cool to see their excitement. Those who are attending DENSI for the first time renewed my own excitement as their shining faces and huge smiles were very contagious! In the evening, we had a barbeque, which was delicious, and exchanged our state gifts. I got a wonderful pecan pie from Susanne Mahone, who is from Alabama. The pecans are significant to her state, but she also had a great story to tell about why pecans are significant to her. I love this tradition! At the opening session, Porter announced keynote, Greg Siers, who is a TV and film producer. Greg kept apologizing for not being an educator, but his perspective as a gifted and bullied student who has made a huge success of his life was something no teacher could have given us. His story hit so close to home for me, I was moved to tears at least a couple of times. I feel moved to respond in some way, and will definitely be trying to find a way . . .
After dinner, we met with our teams for the week. It was great to begin to hear the stories as we did a teambuilding question and answer session. I can’t wait to learn more about Team Neene!